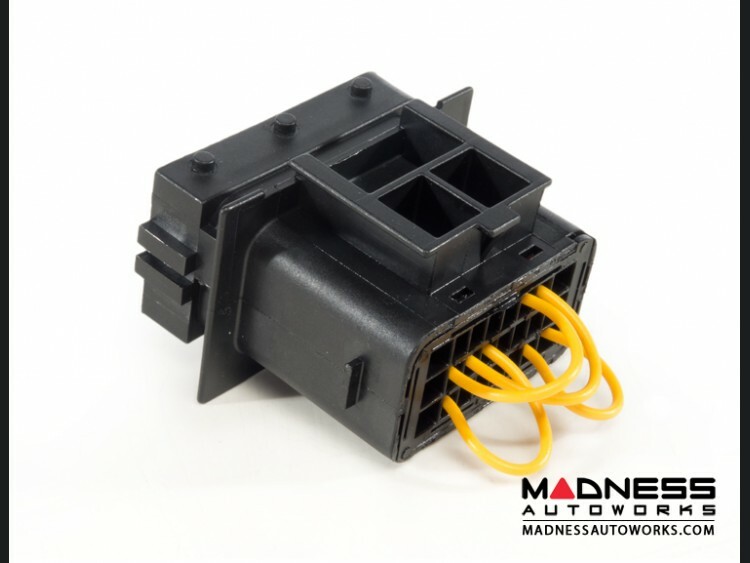 Significantly and safely increase the power of your FIAT 500 with the MAXPower Engine Control Module by MADNESS! This listing is for the MAXPower ECM Bluetooth. Please check our other listing for the standard Non Bluetooth version. 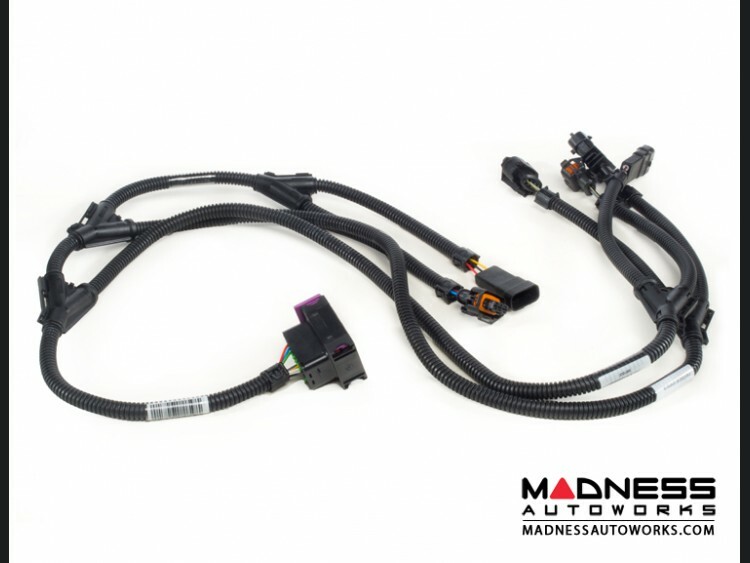 The new MAXPower ECM from MADNESS Autoworks is the newest generation of Plug and Play Performance Modules for your turbocharged 500 . Designed to outperform all other modules on the market, even direct ECU Flashing! 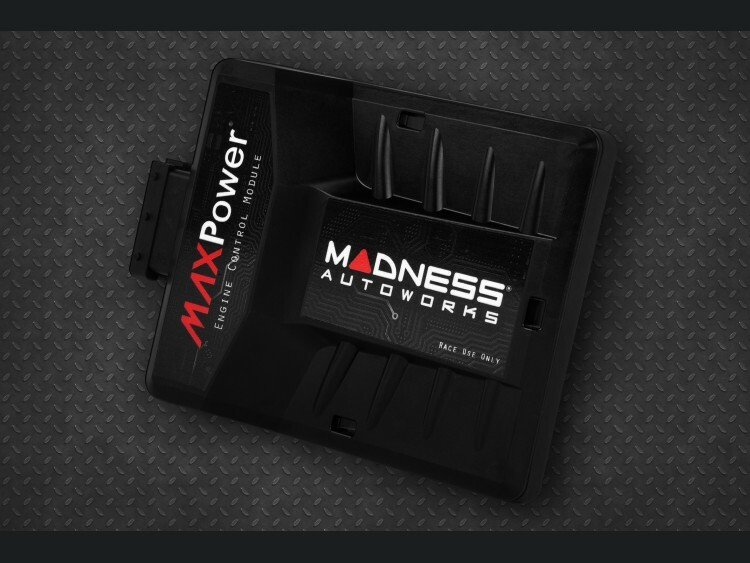 The MAXPower Module was developed through a joint collaboration between MADNESS Autoworks and our International Performance Tuning Partners. Years in testing and development and countless hours of dyno and road testing have been invested in to this product prior to its release to the public. 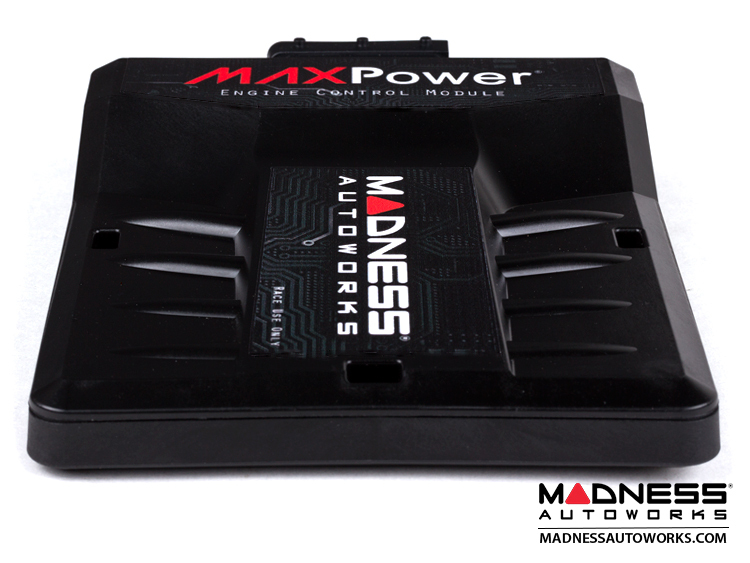 The MADNESS MAXPower Engine Control Module is truly the next level in Performance Tuning for the FIAT turbocharged 500. 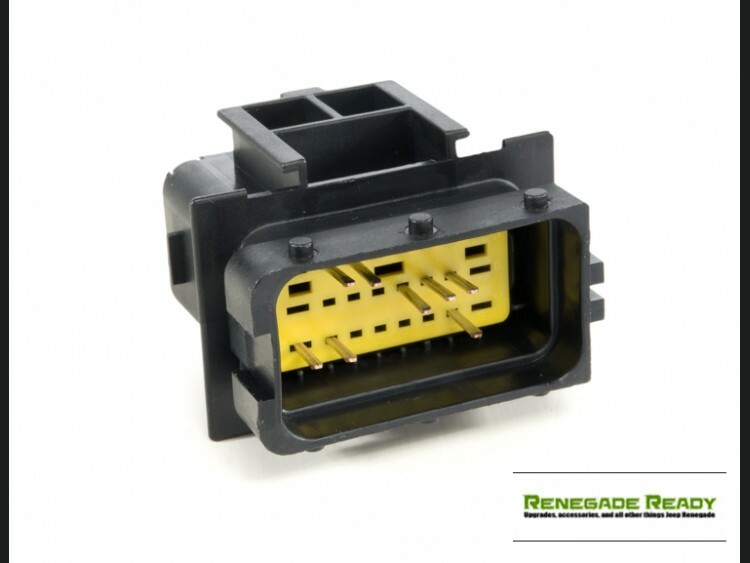 This Engine Control Module is designed to be easy to install and provides instantaneous performance gains. Unlike direct ECU flashing this module is undetectable once removed. This module also allows you, the user to easily vary the performance of your vehicle as you drive through a dedicated, easy to use phone app. Simply increase or decrease the amount of power in your vehicle at a touch of a button. The module is designed to safely increase the performance of your turbocharged 500 without sacrificing reliability of the vehicle. We do not chase top horsepower numbers that look good on a dyno, but rarely provide smooth and useable power delivery in the normal range that you would use a car. 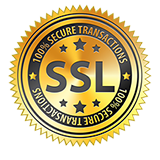 While the gains we provide with this product are fantastic, they are also safe and easy duplicated if you were to decide to do your own tests. We guarantee that our MAXPower ECM will outperform all other ECMs on the market in power delivery, drivability, features and reliability or your money back! Order it, install it and use it for up to 30 days. If you are not 100% satisfied return it for a refund. It is that simple! Just call us first if you are not fully satisfied with the unit so we can assist you in the return process directions. The MAXPower Engine Control Module optimizes various sensor data to increase the performance by up to 30%. The Module is also able to increase fuel economy by up to 10%. (depending which setting you use). Our multi-channel processor uses the data from up to eight sensors processed in real time, recalculates the data and sends it to the vehicle's engine control unit. The MAXPower Engine Control Module uses vehicle-specific characteristics to recalculate the data, allowing for several engine parameters to be simultaneously modified. This module is configured with specially designed maps that are precisely matched to the ABARTH. Each map was developed and tested by us (MADNESS Autoworks) utilizing State of the Art Dyno Testing Facilities right here is Southern California. In additions to countess hours of dyno tuning to ensure proper and safe power delivery road testing was also performed on several cars to ensure reliable power delivery for day to day use. We have two different tuning maps available that are based on your Fuel Type (Octane). All Dyno and Road Testing was done on 91 Octane California Fuel. Higher power output can be achieved by using higher octane like 93 (not available in California). Once you go through the checkout process on our site you will be prompted to select a 91 or 93 Octane Map. The 91 Octane Map will work great on all 91 and higher octane fuels. The higher the octane the more performance you will get. If you are using 93 Octane or higher fuel for your vehicle then we have a map available for your higher fuel octane that will give you additional performance gains (approximately 5%). Please select the octane type you use on your vehicle on the checkout screen and we will ship you the module with the requested map. Any questions? Give us a call and we will be glad to assist. MAXPower Modules have built in specific parameters to keep your ABARTH protected. We have incorporated a 'Cold Start Timer' to allow the engine to reach full operating temperature before the MAXPower Module begins to work. You can personally program the Cold Start Timer to a time that you feel is right for you based on your climate and driving style. Our maps also feature a timer function for engine protection under full load, after 20 seconds under full load, power is regulated back to the factory output. After each load change, the timer is reset and the tuning is fully available again. This is nothing you will feel since the the module quickly resets. This is however another safety feature that is designed to keep your ABARTH operating safely. Running a turbo with significantly increased boost can and will shorten its lifespan. That is why we incorporate this engine protection feature in our new MAXPower Modules. A. Please take a look at the detailed dyno sheets shown in this product listing (under images). You will see significant gains in power (both horsepower and torque). All tuning and testing was performed in California at a State of the Art Dyno Testing Facility. Countless miles of road and track use was also performed. 91 octane fuel was used during all testing. No other additives or mods beyond what is disclosed were used during testing. The vehicle was tested using 91 octane fuel. We have two specific maps available for the module (91 and 93+). You can expect slightly higher gains with octane that is rated above 91. We used 91 since it is the typical fuel type used on the ABARTH in California. At checkout you will be prompted to select the Octane Map that is right for you. Gains of approximately 30% were achieved with the MAXPower ECM and complimentary mods (MADNESS Track Pack). See bottom of this product description for details on the MADNESS Track Pack. We offer is a well designed, proven product that delivers significant power gains in HP and Torque while keeping your vehicle at safe levels. Race tunes are available for this module, but for long term reliability and trouble free use we detune every module by approximately 5% from what we show on our dyno graphs. A. These units are specifically designed to run within the manufacturers’ safety limits and tolerances. The extra performance is easily within the capability of the engine and gearbox. The service intervals of the vehicle will not change however it is important that they be done on time and using original manufacturers parts, it is also very important to regularly check the engine oil level and top up if necessary with the correct oil as most modern engines are designed to use some oil to increase the lifespan of the engine. In addition to the above safeguards we automatically detune every module we offer by 5%. A. It’s a personal choice really, both should give similar results. For some people a Tuning Box is preferable if their car is under warranty as the unit can just be removed for servicing and re-fitted afterwards. This tuning box also allows you a number of features that a direct tune does not. Unlike a flash this unit does not leave a trace in the factory ECU and once the box is removed it is undetectable. The MAXPower ECM also offers you the opportunity to vary the tune/ performance of your vehicle at a touch of a button. We also offer a direct flash and for many that is a great option as well. We offer both options and they both have their pluses and minuses. If you have any questions about either option do not hesitate to give us a call. *MADNESS Track Pack consists of the following upgrades: MADNESS MAXPower ECM, MADNESS GOPedal, High Flow Intake System by BMC/ MADNESS, MADNESS Lightened Pulley, MADNESS Axle Back Exhaust, SILA Concepts FMIC, MADNESS Decat, Turbo Blanket, Bonalume Adapter Plate - Power Pop Plus, Bonalume Short Shifter. 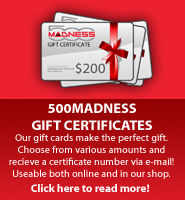 The MADNESS Track Pack items are available as a kit or individually.